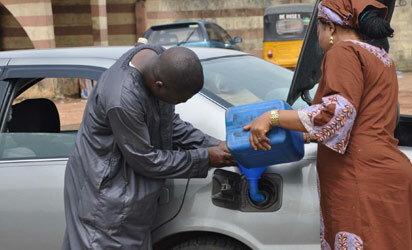 Lagos — Scarcity of petrol is looming as queues have returned to filling stations across Lagos, while some of them have stopped selling. This is an indication that the cold war between marketers and the management of the Petroleum Products Pricing Regulatory Agency, PPPRA, has not been resolved. Vanguard learned that the price of petrol at the depot has risen to N90 per litre, forcing stations to shut down operations as well as hike the sale of its product from the regulated price of N87 to N100 per litre. Vanguard investigation also showed that some of the filling stations along Festac Town have shut down operations, while those selling have brought traffic to their environment. Of five petrol stations, NNPC, Forte-oil, Mobil, MRS, Total, only Total, Mobil, and Forte Oil had fuel. One of the male attendants at Total filling station told Vanguard that the cause of the scarcity is an alleged hike in price of the product to N90 per litre at the depot. “I think the reason for this scarcity could be as a result of the price of petrol product from the depot which has risen to N90 per litre, and some filling stations cannot afford that,” he said. At Forte Oil on 21 Road, Festac Town, the experience was obvious, as queues had led to serious gridlock, while the product was sold from one pump at N100 per litre. According to the supervisor, the station had limited supply and did not know when next they would get. Also, at Fatgbems Station, long queues were seen with two out of six pumps dispensing petrol. A female attendant, who refused to identify herself, maintained that they had orders to sell only from two pumps. Some of the customers expressed anxiety over the development. Mr. Sunday Saka, a motorist, who said he had been on the queue for more than three hours said: “We have had to face this stress for the past two days, with the queue at the stations. Today, I have been on this queue for more than three hours. Also another motorist, Mrs. Beatrice Adebanjo, said she had been on the queue for the past two hours without any hope of getting the product.